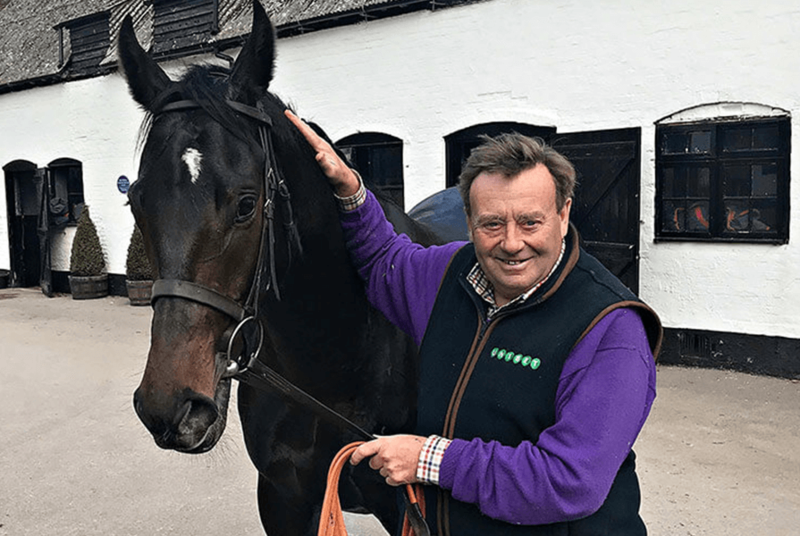 Nicky Henderson simply needs no introduction as one of the greatest National Hunt trainers of all time over a career that has spanned 40 years. He is based at the impressive and private training facility Seven Barrows, on the outskirts of Lambourn in Berkshire, from where he sent out some of the best known horses to win nearly all of the biggest races in the country. Nicky is the five time Champion NH Trainer, the winning-most trainer at the Cheltenham Festival and his haul includes five Champion Hurdles and two Cheltenham Gold Cups. Many of the stars to have been trained by Nicky Henderson include household names such as See You Then, Remittance Man, Long Run, Bob’s Worth, Sprinter Sacre, Altior and Simonsig, to name only a few! Matt Budden, our director of racing, has known Nicky for many years and enjoyed plenty of winners with him, also including second places at the Cheltenham Festival and Royal Ascot. We are therefore delighted to have added our very first horse with Nicky for the upcoming 2018/19 season, a superb individual by the smart stallion Arcadio. Our stable visits to Nicky promise to be great fun!